Note: best to use fresh shrimp. 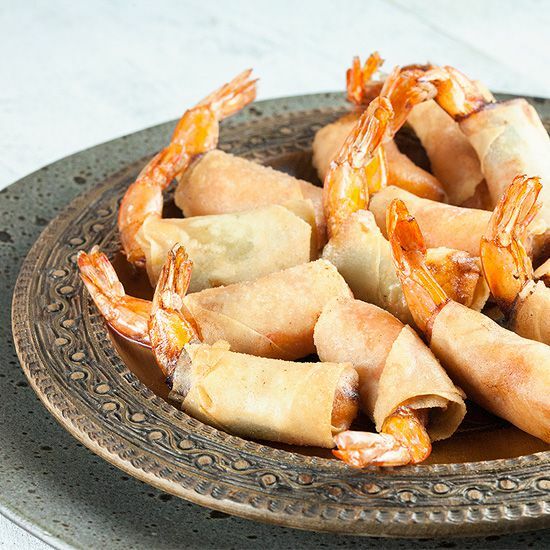 When using frozen shrimp, simply defrost them by placing them in a bowl with lukewarm water. Don’t microwave them. CLEAN and remove the shells from the shrimp. Leave the tail + little bit of shell on. 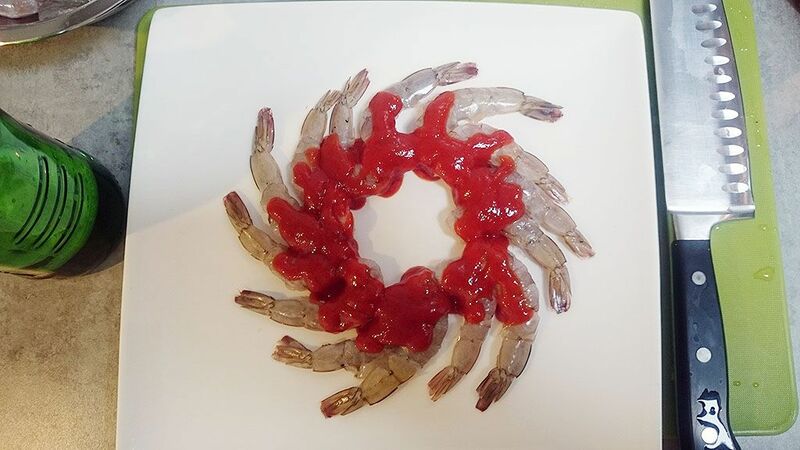 PLACE the shrimp `clockwise` on a large plate, with tails facing outwards, and pour Sriracha sauce over the body parts. Don’t cover the tails with sauce. See picture below for a more visualised explanation. GRAB your chef’s knife and cutting board and finely chop up a small handful of peanuts. SLICE 6 sheets of spring roll pastry in half sideways. We’re going to roll the shrimp into a firecracker, or at least; it kind of resembles one. 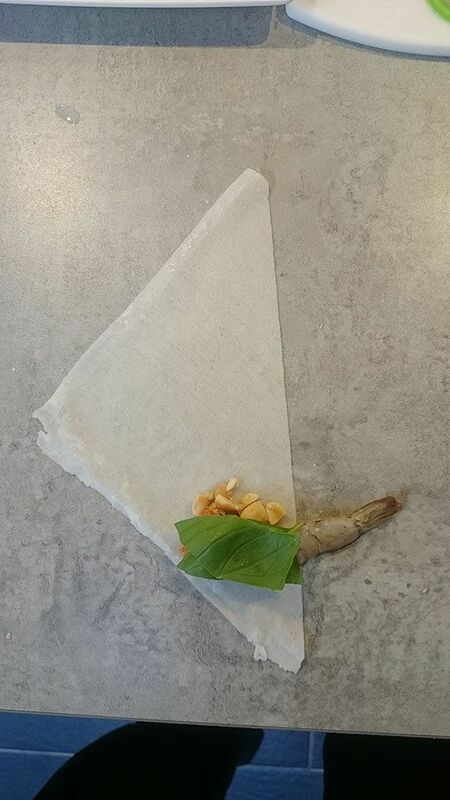 To do this, place a sheet of spring roll pastry with the longest side on the right. Now, simply roll up the pasty (from the bottom) about halfway. Fold the left part inwards and roll up until 90%. DIP your finger in the cornstarch and wet the upper part of the pasty dough. 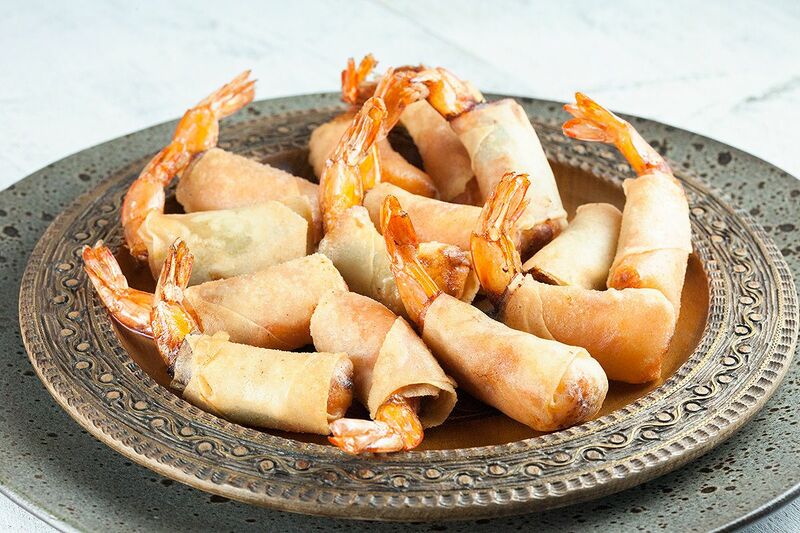 COMPLETE the Thai firecracker shrimp by rolling it up for the full length. The water and cornstarch function as a type of (edible) glue. REPEAT this step for the remaining 11 firecracker shrimps. The ones already prepared are best kept under a dry and clean kitchen towel. Make sure to do this, otherwise the pastry will dry out. 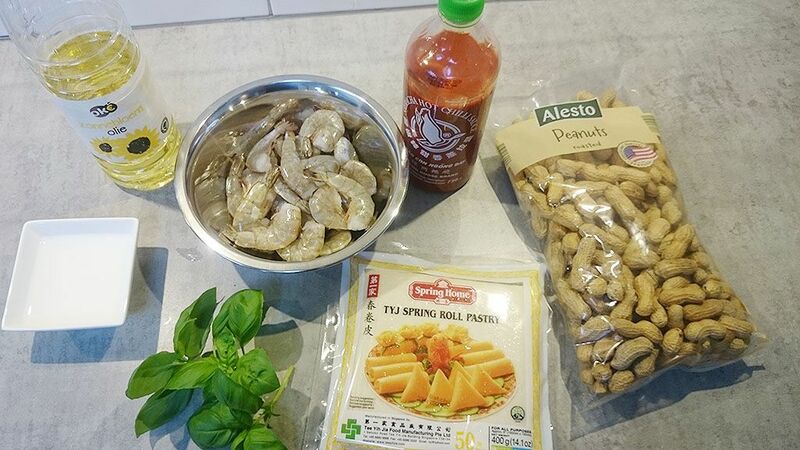 NOW for the easiest part: frying the Thai firecracker shrimp. HEAT up the vegetable oil in a large pan. You can see if the oil is hot enough by adding a small piece of paper kitchen towel in the oil. The oil is hot enough if bubbles form around the paper, if not; wait a few minutes before testing again. Don’t leave the paper towel in the hot oil, obviously. 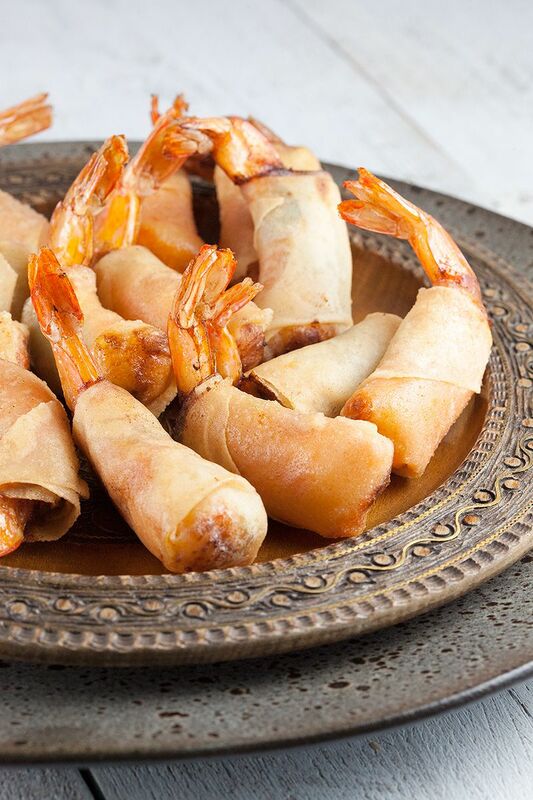 The Thai firecracker shrimp only need a minute or 4-5 in the hot oil. ADD about 6 of them at the same time. REMOVE from the oil and place onto a cooling rack to get rid of excess oil. Enjoy!